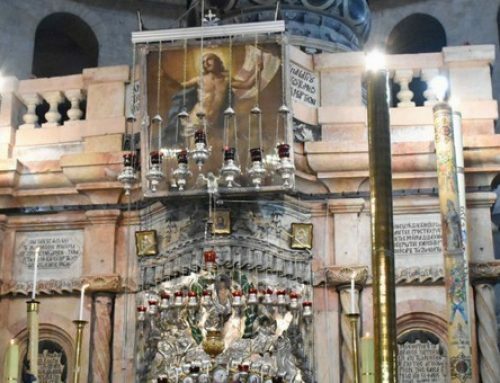 Who Are the Arab Christians of the Holy Land? 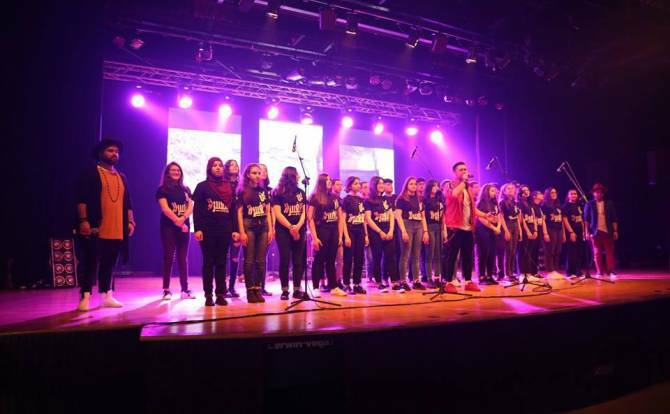 The first musical concert of the “Be the Change” project, which is being implemented by Caritas Jordan and the Gen Rosso band in Jordan, was held on Friday, March 22, for one month to promote the concepts of peace, solidarity and love through art and theater performances. At the outset of the ceremony, Caritas Director Wael Suleiman presented a summary of the project stressing the importance of art in spreading and promoting the principles of peace and brotherhood among students, which are reflected on their society and their lives. A number of children of “Music for Peace” made a performance, with an aim to promote the concept of peace through music education for children. Mr. José Juan, who is in charge of the “Gen Rosso” band, expressed thanks to Jordan and Caritas for the hospitality they received and the joy of the experience they will have during the coming period. He also presented an explanation on the band and its objectives. The concert then began with songs and special performances by the members of the group. Those performances addressed and reflected the concepts of love, renunciation of violence and living in a peaceful world. Some 150 students made performances according to the workshop which they were trained on last week. Those workshops included dancing, singing and expressional dancing and rhythm. At the end of the concert, gratitude was extended to all parents of the participating students and schools who were an integral part of the success of this ceremony. 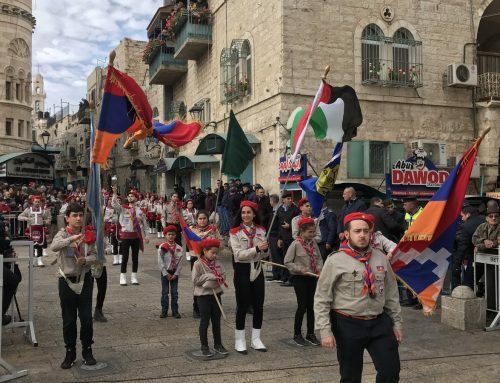 The participating schools are the Rosary Sisters School/ Jabal Amman, the Rosary Sisters School/ Marj Al Hamam, the National Orthodox School / Shmeisani, De La Salle College, the International Community Schools, Al Ahliyah School for Girls and the Bishop’s School. This week, a new group of workshops will begin with the participation of a new number of schools in Amman in preparation for the second ceremony, which will be held at the Lady of Peace Center on Friday, March 29. 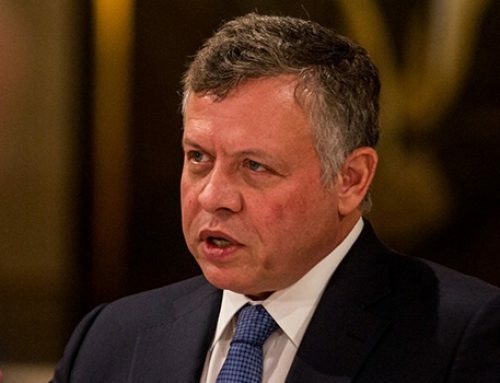 King condemns terrorist bombings targeting churches, hotels in Sri Lanka. 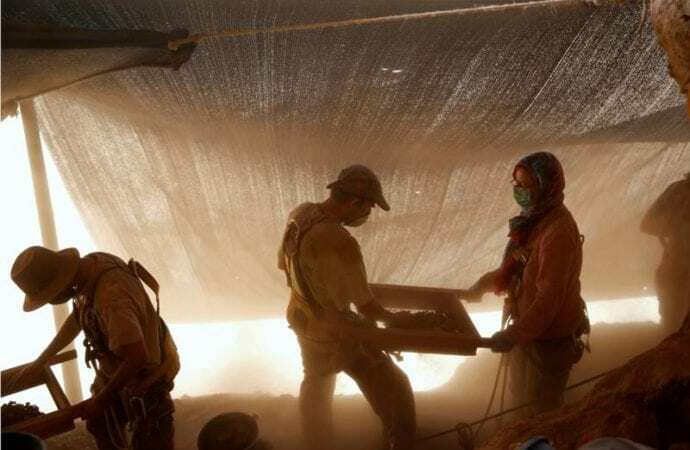 Scholars say new findings in Dead Sea Scrolls add dimension to holy days. 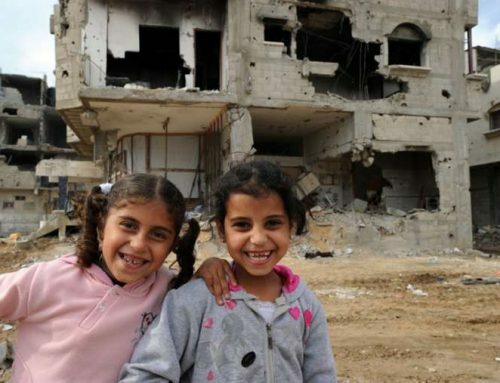 CRS welcomes senators’ call for humanitarian funding to West Bank, Gaza. Homily of Archbishop Pierbattista Pizzaballa for Easter 2019. Copyright © 2005 - 2016 Holy Land Christian Ecumenical Foundation.